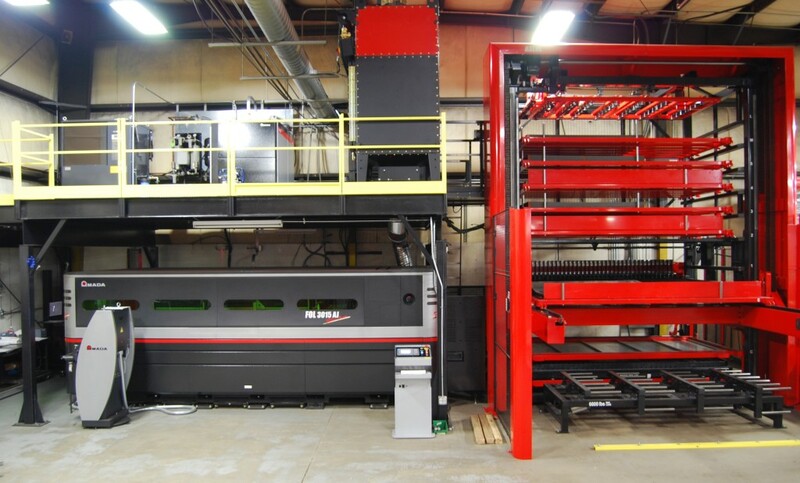 The latest in fully-automated laser technology is available for cutting applications. Quick-turn prototypes and long-run production runs are expeditiously executed on Accu-Fab’s Mazak Laser FMS (Flexible Manufacturing System). This modern system is capable of 24/7 lights-out, unattended operation, giving us extensive production capacity for our contract manufacturing and metal fabrication customers. Accu-Fab’s use of advanced electronic technology directly links the Laser FMS to engineering model files and our laser vision inspection systems. This provides a seamless process from design to prototype to production of products.